In the recent debate over whether President Obama’s nuclear deal with Iran will prevent that country from ever developing such weaponry, you could search high and low for any real discussion of the US nuclear arsenal, even though the Bulletin of the Atomic Scientists estimates that it contains about 4,700 active warheads. That includes a range of bombs and land-based and submarine-based missiles. If, for instance, a single Ohio Class nuclear submarine—and the Navy has 14 of them equipped with nuclear missiles—were to launch its 24 Trident missiles, each with 12 independently targetable megaton warheads, the major cities of any targeted country in the world could be obliterated and millions of people would die. Given that the current US arsenal represents extraordinary overkill capacity—it could destroy many Earth-sized planets—none of those extra taxpayer dollars will gain Americans the slightest additional “deterrence” or safety. For the nation’s security, it hardly matters whether, in the decades to come, the targeting accuracy of missiles whose warheads would completely destroy every living creature within a multi-mile radius was reduced from 500 meters to 300 meters. If such “modernization” has no obvious military significance, why the push for further spending on nuclear weapons? Start with this simple fact: the production, maintenance, and modernization of nuclear weapons are sources of super profits for what is, in essence, a cartel. They, of course, encounter no competition for contracts from offshore competitors, given that it’s the US nuclear arsenal we’re talking about, and the government contracts offered are screened from critical auditing under the guise of national security. Furthermore, the business model employed is “cost-plus,” which means that no matter how high cost overruns may be compared to original bids, contractors receive a guaranteed profit percentage above their costs. High profits are effectively guaranteed, no matter how inefficient or over-budget the project may become. In other words, there is no possibility of contractors losing money on their work, no matter how inefficient they may be (a far cry from a corporate free-market model of production). Given the penumbra of national security that envelops the country’s nuclear weapons programs, authentic audits of the contracts of these companies are not available to the public. However, at least the major corporations profiting from nuclear weapons contracts can now be identified. In the area of nuclear delivery systems—bombers, missiles, and submarines—these include a series of familiar corporate names: Boeing, Northrop Grumman, General Dynamics, GenCorp Aerojet, Huntington Ingalls, and Lockheed Martin. In other areas like nuclear design and production, the names at the top of the list will be less well known: Babcock & Wilcox, Bechtel, Honeywell International, and URS Corporation. When it comes to nuclear weapons testing and maintenance, contractors include Aecom, Flour, Jacobs Engineering, and SAIC; missile targeting and guidance firms include Alliant Techsystems and Rockwell Collins. Many Americans are unaware that much of the responsibility for nuclear weapons development, production, and maintenance lies not with the Pentagon but the Department of Energy (DOE), which spends more on nuclear weapons than it does on developing sustainable energy sources. Key to the DOE’s nuclear project are the federal laboratories where nuclear weapons are designed, built, and tested. They include Sandia National Laboratory in Albuquerque, New Mexico, Los Alamos National Laboratory (LANL) in Los Alamos, New Mexico, and Lawrence Livermore National Laboratories in Livermore, California. These, in turn, reflect a continuing trend in national security affairs, so-called GOCO sites (“government owned, contractor operated”). At the labs, this system represents a corporatization of the policies of nuclear deterrence and other nuclear weapons strategies. Through contracts with URS, Babcock & Wilcox, the University of California, and Bechtel, the nuclear weapons labs are to a significant extent privatized. The LANL contract alone is on the order of $14 billion. Similarly, the Savannah River Nuclear Facility, in Aiken, South Carolina, where nuclear warheads are manufactured, is jointly run by Flour, Honeywell International, and Huntington Ingalls Industries. Their DOE contract for operating it through 2016 totals about $8 billion dollars. In other words, in these years that have seen the rise of the warrior corporation and a significant privatization of the US military and the intelligence community, a similar process has been underway in the world of nuclear weaponry. In fact, the price for maintaining and developing the nuclear arsenal is actually far greater than either of those estimates. 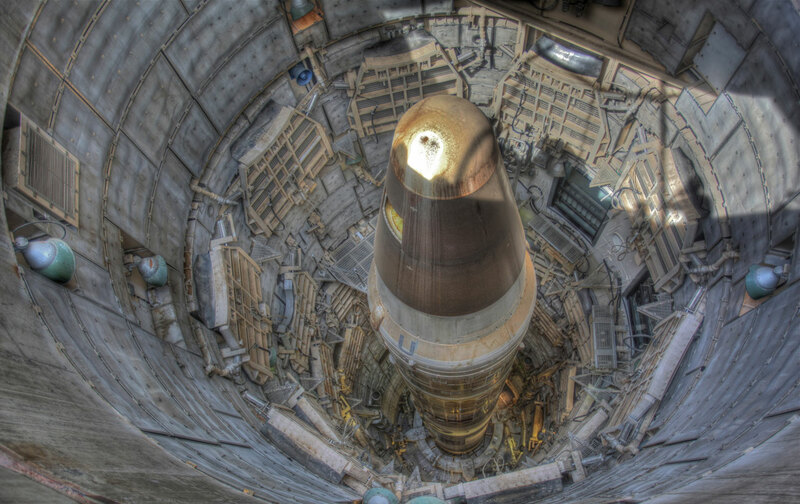 While those numbers include most of the direct costs of nuclear weapons and strategic launching systems like missiles and submarines, as well as the majority of the costs for the military personnel responsible for maintaining, operating, and executing the missions, they don’t include many other expenses, including the decommissioning process and nuclear-waste disposal issues involved in “retiring” weapons. Nor do they include the pensions and healthcare costs that will go with retiring their human operators. Not surprisingly, for the roster of corporations involved in the US nuclear programs, this matters little. They, in fact, maintain elaborate lobbying operations in support of their continuing nuclear weapons contracts. In a 2012 study for the Center for International Policy, “Bombs vs. Budgets: Inside the Nuclear Weapons Lobby,” William Hartung and Christine Anderson reported that, for the elections of that year, the top 14 contractors gave nearly $3 million directly to Congressional legislators. Not surprisingly, half that sum went to members of the four key committees or subcommittees that oversee spending for nuclear arms. The continuing pressure of Congressional Republicans for cuts in domestic social programs are a crucial mechanism that ensures federal tax dollars will be available for lucrative military contracts. In terms of quality of life (and death), this means that underestimating the influence of the nuclear weapons industry is singularly dangerous. For the $35 billion or more the US taxpayer will put into such weaponry annually to support the narrow interests of a modest number of companies, the payback is fear of an apocalyptic future. After all, unlike almost all other corporate lobbies, the nuclear weapons lobby (and so your tax dollars) put life on Earth at risk of rapid extinction, either following the direct destruction of a nuclear holocaust or a radical reduction in sunlight reaching the Earth’s surface that would come from the sort of nuclear winter that would follow almost any nuclear exchange. At the moment, the corporate-nuclear complex is hidden in our midst, its budgets and funds shielded from public scrutiny, its project hardly noticed. It’s a formula for disaster. Richard KrushnicRichard Krushnic is a former real estate loan asset manager and housing and business contract analyst at Boston’s Department of Neighborhood Development. Jonathan Alan KingJonathan Alan King is professor of molecular biology at MIT and chair of the Nuclear Abolition Committee of Massachusetts Peace Action.